About Organization: The Indian Coast Guard is a multi-mission organization, conducting round-the-year real-life operations at sea. Despite being relatively small, it has a wide range of task capabilities for both surface and air operations. How to Apply: Applications will be accepted 'Online only' from 10 to 17 Feb 2014. 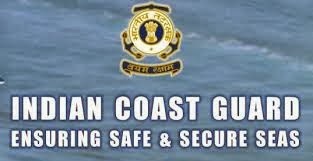 Candidates to logon www.joinindiancoastguard.gov.in and click on opportunities button.